Error while submitting alert please try again in a minute. Thank you for your Job Alert request. We will contact you with jobs that match your selected criteria as they become available. Luke is based at our Aldershot fitting centre and has worked for National Windscreens for three years having previously worked in retail. 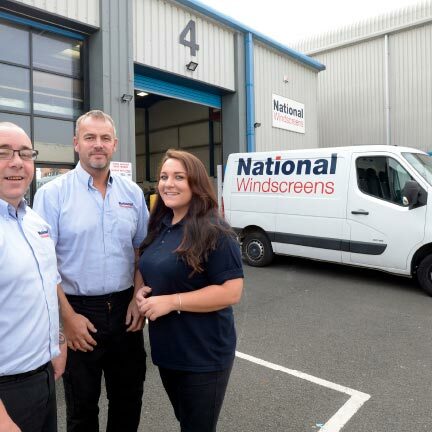 How long have you worked for National Windscreens and why did you join? I joined National Windscreens in May 2015, after working for Co-op. I already knew some of the team at the local centre and that helped me understand what they did. I’ve always been interested in cars and enjoyed doing mechanics at school. I applied for a job as a technician and National Windscreens took me on. I’ve achieved an NVQ Level 2 qualification (NVQ Diploma in Automotive Glazing) through the job and I’ll be undertaking Level 3 (GQA Level 3 Certificate in Automotive Glazing) which focuses on the Advanced Driver Assistance Systems (ADAS) calibration aspect of windscreen replacement. ADAS technology is increasing rapidly in vehicles, so we have to be aware of all aspects of it. I get to the depot each morning, early on, where we’re all given our jobs for the day. We’ll have a quick catch-up between technicians, then I’ll run through my itinerary and load the van with the glass I need for each job. I’ll then text or call the customers to confirm their appointments. I always call the first ones I’m seeing to ensure they know I’m coming and text the others so they know everything’s on track to see them at the allocated time that day. I’ll call them later before heading out to the job at either their home or workplace. This ensures they’re ready and know I’m on my way. Every day is different, as is each job. There are so many variants of vehicles and windscreens. You really don’t know what to expect until you arrive in the morning and see your itinerary. You’re never really more than 20 miles from each job. This ensures you can reach each customer at their allocated time. I tend to work in and around Aldershot, Basingstoke and Leatherhead. You’re helping people stay on the road. It’s good to know you’re doing something that makes a difference. Some jobs are more challenging than others for a number of reasons but that’s what makes the job fun and different. You could be dealing with a customised car one minute and then an expensive sports car at the next job, or a van. What would you say to someone thinking of becoming a technician? You have to be very hands-on and good with people. That’s a major part of the job. You also have to be good in a team. While you work by yourself a lot, some jobs, such as large commercial vehicles, need two people. You also have to enjoy all types of weather. One day it could be hot and dry then the next may be wet and windy. Interested in what Luke does? Michael has worked at National Windscreens since 2010. Based at Hoddesdon, he had previously been a delivery driver for a major supermarket chain. 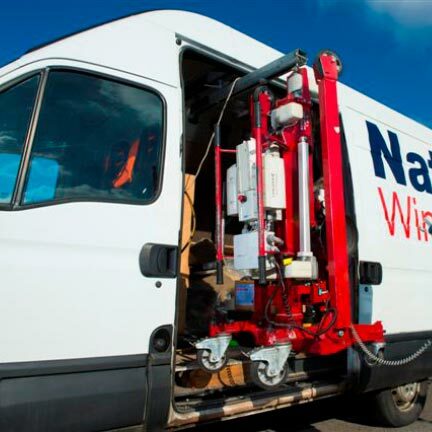 I joined National Windscreens in December 2010. I was working at Asda and one day a National Windscreens technician came to fix a windscreen on one of the delivery vans. We got talking and I was watching the work he was doing and just thought I liked it and could do it. I applied for a job and while I didn’t have any experience they provided thorough training which ensures you understand every aspect of repairing or replacing windscreens. I now have an NVQ Level 2 qualification (NVQ Diploma in Automotive Glazing) and receive ongoing training as technology changes. 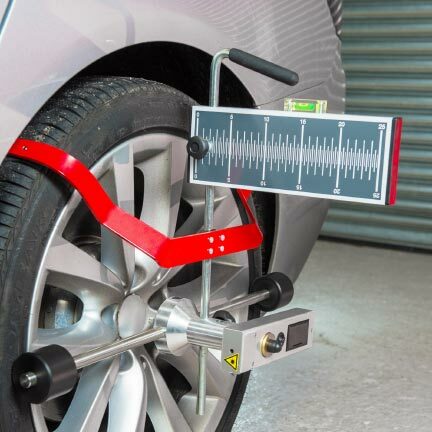 We’re seeing a lot more ADAS fitted vehicles nowadays and that is a really exciting technology. It’s great to work on the calibration, another exciting aspect of the job. Like the other technicians, we arrive at the depot each morning where we’re provided with our jobs for the day. I always ensure I speak to the customers first. It’s important for them to know you’ll be coming to see them in the day. There’s no typical day as such. The type of vehicle and windscreen you could be working on is always different. I’ve worked on all sorts of cars, from a Lamborghini to commercial vehicles. 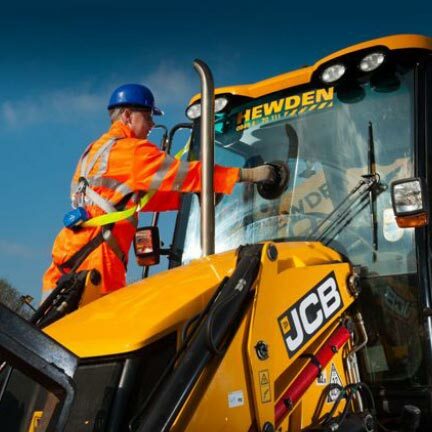 For some more difficult jobs, you’ll work with a colleague, usually because of the size of the windscreen involved. Generally, I work within a 25 mile radius and will fix between six or seven vehicles each day but it depends on the type of jobs you’re assigned to. This is always factored in when you get your job sheet in the morning. It’s planned to ensure you can get to each customer at the time they expect. I don’t think there is one specific part – it’s the whole job! You arrive every day with new jobs and so you could be working on any type of vehicle. The new ADAS technology coming in is really exciting so I enjoy that. There’s a lot of new car technology coming in that affects what we do, so there’s always something to learn and train for. The job is really varied. You have an opportunity to work with some great people and you must be people-focused as you’re on the frontline, meeting customers every day. It’s important you give them the service they expect. You’re provided with the best training and it’s a great job. Interested in what Michael does?